Why is Fertility Homeopathy Effective? Fertility homeopathy treats the person and not the disease. The causes of infertility are many but many couples do not know of important factors that can actually lower their fertility. Homeopathic medicine is very effective in treating infertility because it addresses all these factors. 1. Address inherited or acquired weaknesses. 2. Undo the effects of the oral contraceptive pill. 3. Treat the underlying pathology (endometriosis, fibroids, scarred fallopian tubes, low thyroid function). 4. Strengthen the reproductive organs, stimulate ovulation, increase libido, and balance the hormones. 5. Improve the quality of vaginal mucus and address Candida issues. 6. Strengthen the immune system. 7. Increase sperm count, quality, and morphology. Fertility homeopathy uses a series of homeopathic remedies, specifically selected to address imbalances in the body at the physical, mental and emotional levels. 1. Have medical conditions that affect their fertility like polycystic ovary disease, fibroids, endometriosis, anovulatory cycles, etc. 2. Are experiencing irregular menstrual cycles and hormonal imbalances. 3. Are preparing for IVF or had failed IVF cycles. 4. Have not been able to achieve pregnancy within 6-12 months of actively trying. 5. Wants to conceive as quickly as possible. 6. Have a history of recurrent miscarriage. 7. Have a history of oral contraceptive use. 1. Have low sperm count. 2. Have poor sperm motility and weak forward motion. 3. Have abnormal shaped sperm. 4. Have blocked spermatic ducts causing nil sperm. 6. Have low testosterone levels and hormonal imbalance. 7. Have a history of genital infections. How Does Fertility Homeopathy Work? In men fertility homeopathy supports the body in healthy production of sperm supporting the male reproductive organs, increasing sexual stamina and restore hormonal balance. In women, the main focus of using homeopathic medicine to increase fertility is to support the body in producing healthy eggs during ovulation, increasing the quality and quantity of fertile mucus, and preparing a healthy uterine lining for implantation. Another important aspect of achieving conception is learning your fertility signs. When homeopathic medicine is paired to fertility education your chances of conception increase greatly. Fertility homeopathy should also be associated with a healthy diet and life style. Fertility homeopathy and fertility education should always go together. 1. To recognize your ovulation signs with confidence. 2. How to practice effectively fertility charting. 3. Use ovulation tests to confirm your specific ovulation window. 4. 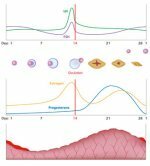 Recognized your fertile mucus cycle. 6. Identify important factors that contribute to your difficulty in achieving pregnancy. 7. Learn ways to release stress. 9. Improve your diet by knowing which foods increase your fertility and which foods you need to avoid. 10. 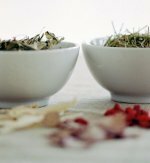 Learn other natural techniques that you can easily use to treat specific fertility issues. Most natural health practitioners recommend to allow for at least three to four months for pre conceptual health before attempting to conceive. This is especially important if you have been on oral contraceptive and you will some time to give your body time to regain natural balance. From a homeopathic medicine perspective, a woman that has been on oral contraceptive has suppressed ovulation and will require some time to reboot her ovaries to produce healthy eggs. During this pre-conception time, couples should also adopt a special fertility diet and chance their life style, if necessary, in order to increase their chances of conceiving and having a healthy pregnancy and baby. Pre-conception care for both parents should begin at least 4 months before training to get pregnant, since sperm formation takes approximately 116 days, and eggs are susceptible to damage 100 days before ovulation. The more time given to preconception care, the more effective natural fertility success will be. Remember, health parents make healthy babies! Losing a so much wanted pregnancy is such a heartbreaking experience. The emotional and physical trauma may have weakened your body. It is important to work through your emotions before another pregnancy is achieved. Women who get pregnant after having suffered a miscarriage are much more susceptible to anxiety and unwanted fears as a result. From a physical point of view, women who have had a miscarriage may commonly experience hormonal imbalances. Homeopathic medicine can help bring back a regular cycle and support the ovaries and the uterus to function at their best. Sometimes, having a miscarriage is a sign of weakness, either inherited or acquired, homeopathic medicine can help address this weakness. Women who have recurrent miscarriages have been helped with homeopathy. Some couples will require assisted conception in order to achieve pregnancy. If you are in this category, fertility homeopathy can help you prepare for it. Did you know that fertility treatments have very low success rates (less than 30%) and the majority of IVF procedures resulted in miscarriage? Using homeopathy, fertility diet and natural health can help increase the odds of IVF success. Women who use homeopathic medicine before IVF can produce a high number of healthy eggs and have a healthy endometrium ready for implantation. Also, many couples have embryos left over after a successful IVF treatment and want to try for another child. The best way to ensure a successful result is to use homeopathic medicine and natural health to increase fertility and hormonal health before starting a IVF cycle. More and more couples are experiencing secondary infertility, which is the inability to conceive a subsequent child after having had at least one successful pregnancy. The reasons for secondary infertility are many and they include parenting stress, lowered fertility after breastfeeding, unresolved postpartum issues, hormonal imbalances after delivery, advanced maternal age, irregular cycles, etc. If you already have a child and are longing for a second one, but having trouble getting pregnant again, you may be experiencing secondary infertility. Fertility homeopathy can help you increase your chance of conception, address any physiological weakness that your previous pregnancy may have caused. All suppressive damage within the female reproductive organs is caused by medical drugs like oral contraceptive, hormones in our food and water, xenoestrogens, and more, plus internal and external toxins lead to increased level of toxicity that impair reproduction. Toxicity causes lesional damage and inflammation to the reproductive organs and this damage needs to be repaired and the toxic block released. By using homeopathic remedies that work to release toxins and to repair lesional damage, it is possible to restore fertility naturally. In 1950 Dr Leon Vannier, a French homeopath, developed a homeopathic system based on the assumption that all the homoeopathic remedies will work best if you clear the toxic accumulation caused by life style, inheritance and drugs. This is what in homeopathy is referred to as obstacle to cure. Australian Homeopath, Liz Lalor, has developed a fertility homeopathy program based on these principles. Homeopathic remedies can help drainage toxins directly from your reproductive organs. Many detox protocols are aimed to assist the liver and the bowels to eliminate toxins. These are great and I do recommend them very often, but the homeopathic remedies are more specific for each woman's reproductive situation. That's what the homeopathic practitioner can teach you. Each month you should see your cycle becoming more regular with healthy signs of fertility such as fertile mucus around ovulation, less PMS, and easier periods, etc. You will also feel more energy and will enjoy better sleep. You need to give yourself at least six months to achieve conception. Some women get pregnant really fast, while others take longer depending on the level of health of their reproductive system. Fertility homeoapthy gives results really fast. I think that 4-6 months is a realistic time for a women to expect her fertility to improve. After all, only one egg is released each month! Please, realize that there are no miracles cures or quick solutions for infertility, you simply need to give your body the time and the support it needs to achieve balance and an optimum state of health needed to support a healthy pregnancy. Homeopathic medicines are inexpensive, available to everyone and non toxic. They are regulated differently in each country, but generally considered over the counter medicines that do not require a prescription. 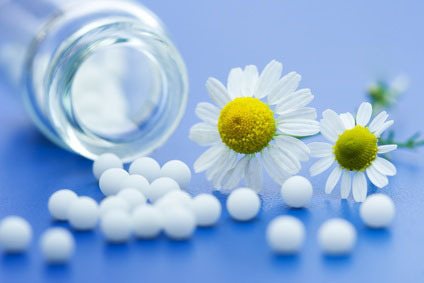 Homeopathy is a gentle system of natural medicine without side effects because the remedies are highly diluted designed to encourages the body to heal itself, eliminate accumulated toxins, release stress, repair damage, and eliminated inherited weaknesses. This last aspect is especially important for women how have a personal or family history of endometriosis, ovarian problems, birth defects and miscarriages. If you suffer from infertility, do consider a homeopathic approach, which is safe and natural and very effective in many cases.